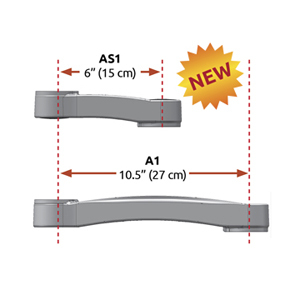 Provides 10.5″ (27 cm) more reach at wall mount. Adds more horizontal rotation to wall, desk, pole and track mounts. Mounts to most Ultra Series arms.